Фотобанк РОСФОТО - микросток. Лицензионные Фото, Видео, Музыка - Euro currency. Court gavel and rolled Euro banknotes. Representation of corruption and bribery in the judiciary. Euro currency. Court gavel and rolled Euro banknotes. Representation of corruption and bribery in the judiciary. Judge's hammer gavel. 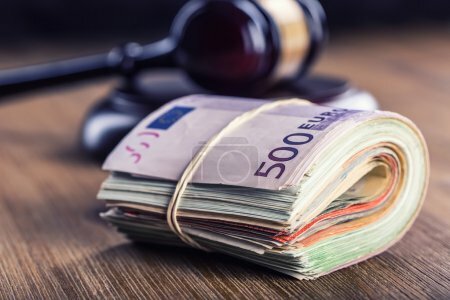 Justice and euro money. Euro currency. Court gavel and rolled Euro banknotes. Representation of corruption and bribery in the judiciary.